Publication ceremony of ‘Gard Sabhowati’, a book authored by veteran actress Smt. 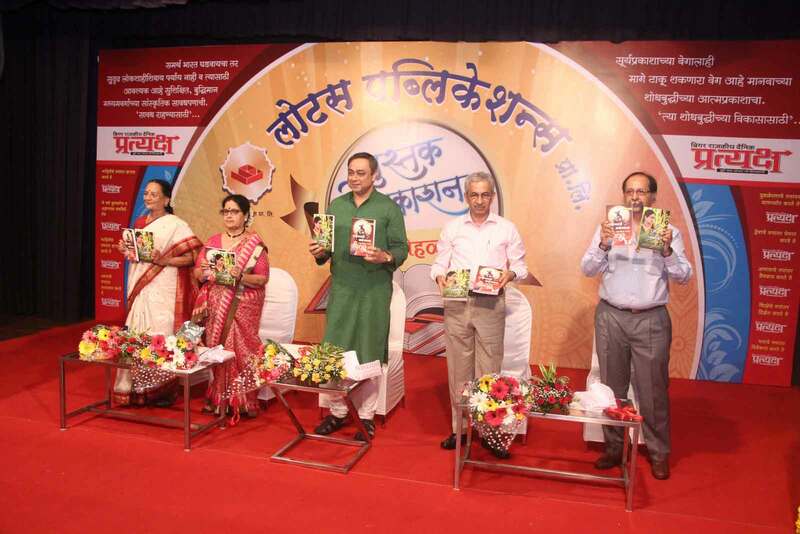 Ashalata Wabgaonkar and ‘Gunhegarancha Kardankal’, a book authored by a forensic expert, Dr. Vasudha Apte was held at B.N. Vaidya Hall, Dadar. Lotus Publications Pvt. Ltd. published these books at hands of renowned actor, Shri. Sachin Khedekar and former Director General of Police (Maharashtra), Shri. Pravin Dixit.